Mercedes-Benz is a globally renowned German luxury car giant and, a subsidiary of Daimler AG conglomerate. The first Mercedes-Benz car was introduced in 1926 by Daimler. In addition to luxury cars, Mercedes-Benz also manufactures buses, coaches, and trucks. In 2018, the Stuttgart, Germany based Mercedes-Benz became the largest premium car brand with sales of 2.3 million cars globally. Mercedes-Benz India was established in 1994 and its headquarters are located in Chakan, Pune (Maharashtra). Mercedes-Benz is a well-admired, reliable luxury brand for the affluent in the country with respect to safety, tech and performance etc. Mercedes-Benz car portfolio comprise of high end luxury saloons, performance oriented coupes and SUVs alongside AMG-badged high end ultra performance cars. Mentioned below are the cars from Mercedes-Benz line up in India that includes various saloons, SUVs and high end performance cars. The tyre manufacturers that produce tyres for the Mercedes-Benz luxury cars and SUVs are Pirelli, Michelin, Apollo, JK, Hankook, Bridgestone, Goodyear, Yokohama, and many more. Mentioned below are the select tyre patterns from different tyre brands that you can install to your Mercedes-Benz cars. Some of the select tyre patterns that you can use with Mercedes-Benz saloons include Pirelli P7 Cint, JK UX Royale, JK UX1, Apollo Alnac 4G, Bridgestone EP150, Hankook K115, Goodyear Efficient Grip, Bridgestone S001, Yokohama AC02, and many more. Some of the select tyre patterns that can be fitted to Mercedes-Benz SUVs consist of Michelin Latitude Sport MO, Pirelli S Verde (MO), Pirelli S Veas (B), Pirelli S Zero (MO), and others. Some of the select tyre patterns that can be installed to high performance Mercedes-Benz include Pirelli P7 Cint, JK UX Royale, JK UX1, Apollo Alnac 4G, Bridgestone EP150, Hankook K115, Goodyear Efficient Grip, Bridgestone S001, Yokohama AC02, and others. 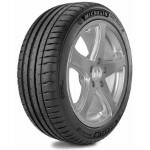 All the tyres for Mercedes-Benz cars listed above are made available on Tyremarket.com. If you want to buy tyres for your Mercedes car, be it SUV, saloon, or coupe, you can visit Tyremarket.com and buy your preferred tyre at competitive prices. You can also check the details under tyre specifications such as load index, speed rating, warranty, etc., and make an informed decision. Get the best suited tyre for your Mercedes-Benz vehicle and others from Tyremarket.com.